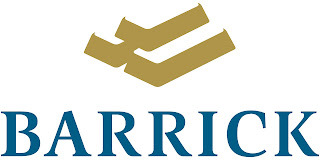 I bought more shares of Barrick Gold today. 20 to be exact @ 29, 39 $. I now own 250 shares of ABX. bugging me, I had to have 250! It will take a year or two before it gets back on its solid basis. Right now, it's trading under it's fair value by a long stretch. I expect my investment to come into fruition in years to come. So patience is of the essence. So for now that's it on the stock front. It's Tax month here in my part of the world. Our condo tax bill is clocking roughly 2,5 K$. So my savings should be lower than usual. Bloody taxes are the culprit! Hey Liquid. Good to hear from you. Buying stocks from gold companies is a great in between way of actually owning gold. Unfortunately, ABX's stocks hasn't reflected the recent gold surge -- for various reasons. I'm confident it will eventually. But this is a sector with a lot of up's and down's. I have a larger position that I would like, but it sometimes happen when you try to average down your price per share... Thanks for coming by.